HP has decided to keep it simple this time with its new HP Slate 10 HD 3500eg model. In terms of shape, it has a basic black framed rectangle panel with silver rounded back case making it as comfortable as it could be in hand. There are only 3 physical buttons; power, volume up and down. Its 10 inch a-Si TFT LCD WXGA display is attractive especially with the 16:10 ultra wide aspect ratio. 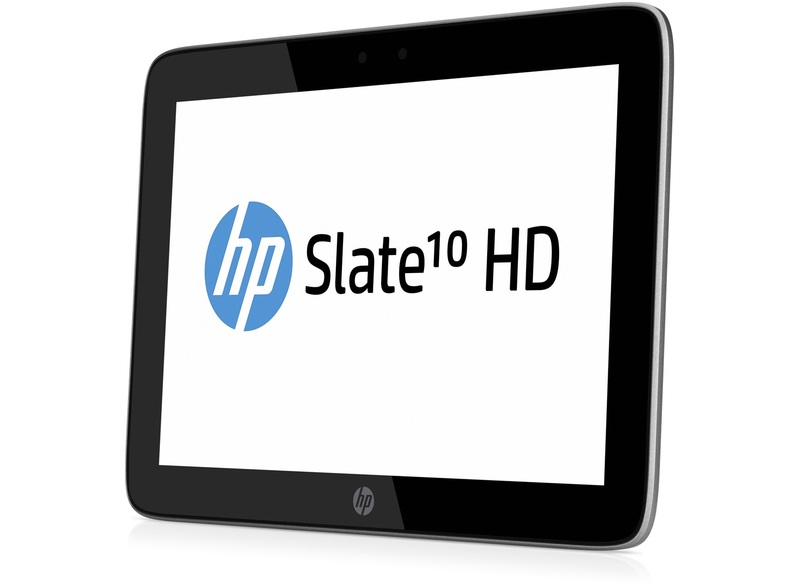 The HP Slate 10 HD 3500eg is powered by a Marvel SOC PXA986 dual-core microprocessor clocked at 1.2 GHz and 1 GB DDR3 1600 MHz RAM. This coupled with the Vivante GC1000 GPU, allows the tablet to perform well for gaming and other applications. A storage capacity of 16 GB is pretty sufficient and it can be tripled using the MicroSD support capability. Audio quality is good as there is support for BeatsAudio combined with the integrated stereo speakers. The HP Slate 10 HD 3500eg has a 5 MP autofocus rear camera and a 2 MP front camera. Battery life is good with a 7000 mAh Lithium-Polymer battery. Vivante Vivante GC1000+ Dual-Core: Integrated graphics card for ARM based SoCs. These graphics cards are not suited for Windows 3D games. Office and Internet surfing however is possible. » Further information can be found in our Comparison of Mobile Graphics Cards and the corresponding Benchmark List. PXA986: Cortex-A9 based dual-core SoC with integrated WCDMA and HSDPA radio.» Further information can be found in our Comparison of Mobile Processsors.